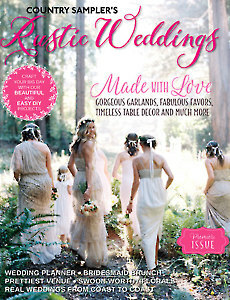 Country Sampler's Rustic Weddings, a gorgeous new special issue, is filled with page after page of country-chic weddings offering real-life ideas for your own lovely day. 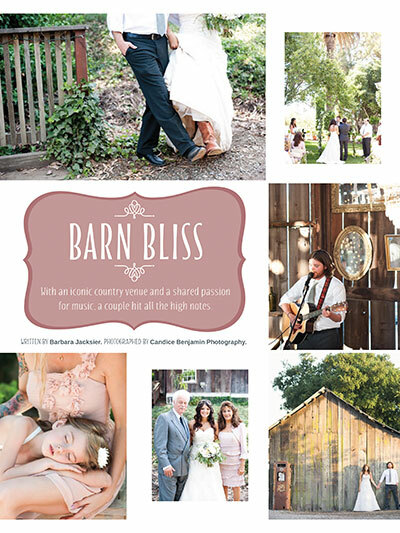 Page through blissful wedding features from warm and woodsy ceremonies to fun barnyard fetes. 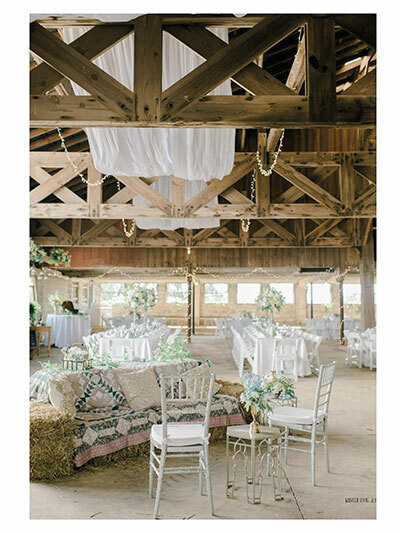 Read how talented wedding experts work toward making the day a special one, and enjoy an outdoor bridesmaids brunch. 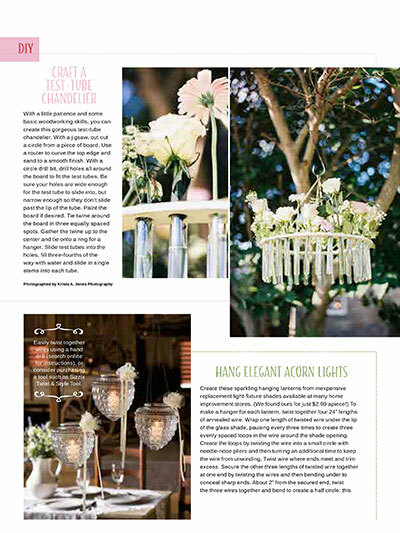 Plus, a DIY section gives complete instructions for creating truly unique decor that will set your event apart from the rest. 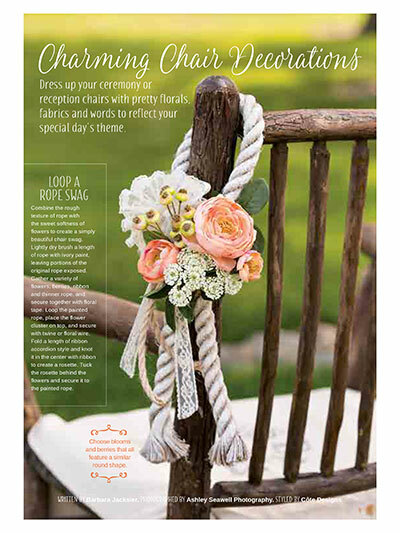 Get step-by-step instructions for making creative centerpieces from rustic to refined, charming decorations for the bride and groom’s chairs, guest favors friends and family will love to take home, and stunning ways to decorate your venue. 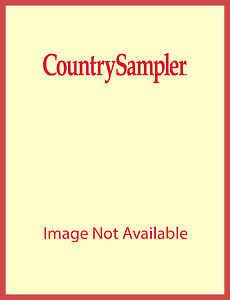 With Country Sampler's Rustic Weddings, you can have the wedding of your dreams! 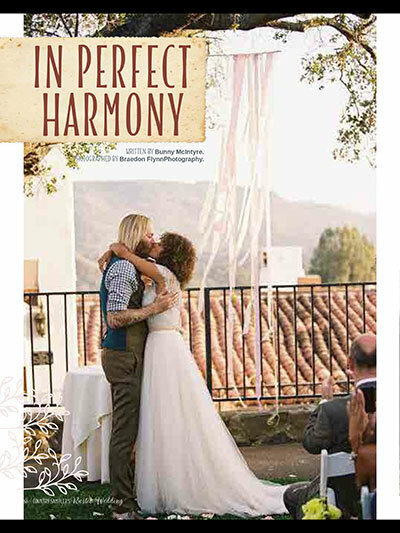 Get this special issue today.